Baikal Scullcap - Scutellaria baicalensis - Biennial - Medicinal - Lovely plant with bright blue flowers attractive to bees & butterflies. In Chinese medicine, it has been used to treat colds, fevers, hypertension & diptheria. 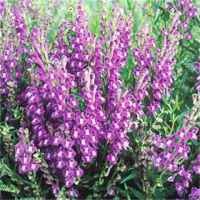 Full sun or partial shade; plant height: 12-15in. 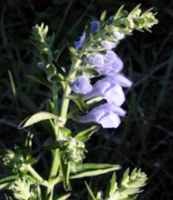 Blue Scullcap - Scutellaria lateriflora - Perennial - Medicinal - The plant is used to treat headache and insomnia Full sun or partial shade; plant height: 12-15in.